As far as cooking goes, steaming is nothing short of a virtue! 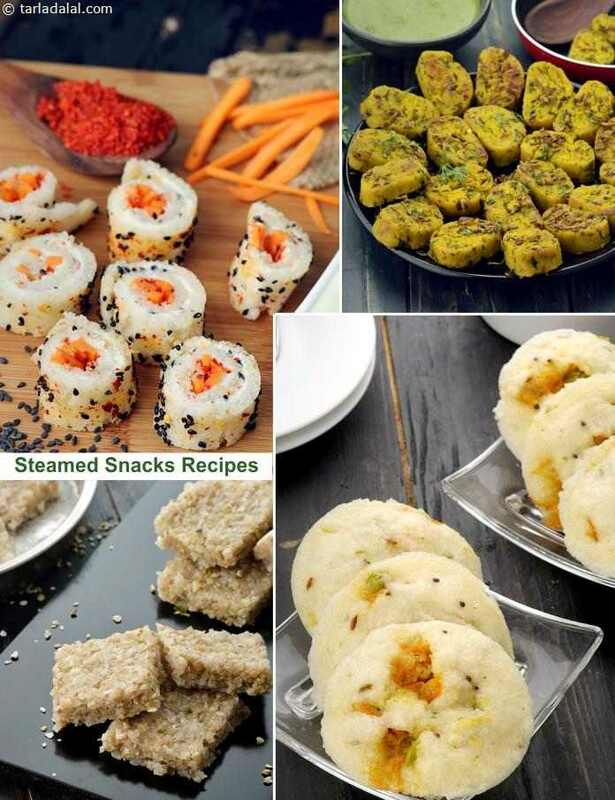 It is considered a much superior method when compared to deep-frying, and it always comes in handy when you know how to make a couple of steamed snacks. Cooked in a steamer or pressure cooker, Steamed Snacks like Quick Rava Idli and Kothimbir Vadi are so tasty that you cannot stop with one – but the best part is that you can comfortably have more, without any guilt!